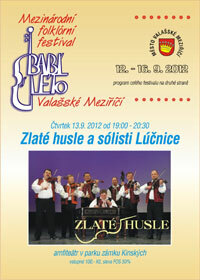 The time when the town of Valasske Mezirici becomes a place of folklore is coming fast. It is the 10th anniversary of the International folklore festival “Indian Summer”. 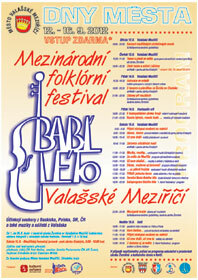 Some European and perhaps also oversea folklore bands will be possible to see not only in the town, but also in its vicinity from Thursday 13 to Sunday 16 September 2012. Preparation for the 10th anniversary of the festival began just after the end of the previous Indian Summer in September 2010. 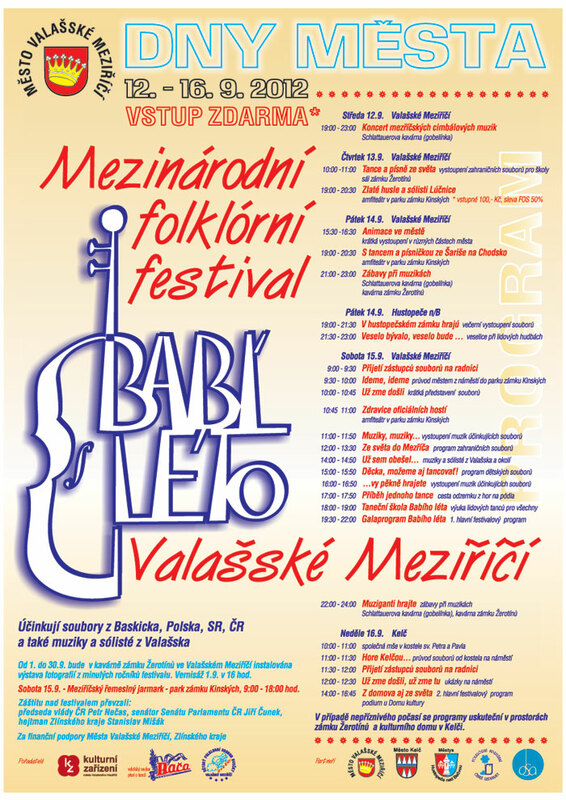 The main programs of this year will be covered by the most successful bands of the previous years or those that became stable cooperators of the organizers – Baca and Ovecky bands. The visitors, who visit the folklore programs regularly, will have an opportunity to see how much the performance of folklore have changed during almost 20 years of the festival. The general public can also see supporting program, whose themes mostly come from traditional folk art of different regions. All programs and other events of the festival are prepared to the celebration of the town of Valasske Mezirici, which are held every year. Last years have brought a new tradition of folklore and follow-up art and craft categories. We are happy that the number of attendants and fans, who respect heritage of our ancestors, is rising. We also appreciate that they acknowledge all we can offer not only visitors from Wallachia but also those from far-away countries and we hope it will also show in increasing number of attendants of our festival.